More than half of the 17 million vehicles sold annually in the US have keyless ignitions. Most vehicles use some form of the electronic access and authorization system known as “smart key” that is available either as standard equipment or as an option. However, recent data shows that motor vehicles with keyless authorization systems are vulnerable to theft. In fact, using readily-available equipment and technology, it may take as little as 18 seconds to steal a keyless car. Of the 237 models equipped with keyless authorization systems that the German automobile club, ADAC, tested and studied, security flaws were found in an astounding 99% of them. The data reveals that only seven of the 237 were not susceptible to being both unlocked and started by equipment other than the key fob (key ring). ADAC found more than 30 automakers have made vulnerable and insecure cars, including Audi, BMW, Honda, Hyundai, Kia, Peugeot, Renault, and Volvo. Keyless systems were first developed by Siemens in 1995 and introduced by Mercedes-Benz under the name “Key-less Go” in 1998 on the W220 S-Class. 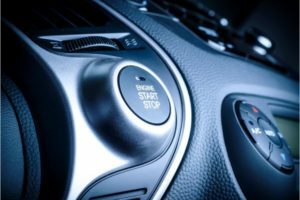 Today, manufacturers use keyless authorization systems under different names such as “Smart Entry System” (Honda), “Passive Entry Passive Start” or “PEPS” (GM), and Intelligent Access with push-button start (Ford). Regardless of the nomenclature, keyless systems allow motorists to keep the key chain pocketed when unlocking, locking and starting the automobile. The key is identified by one of several antennas in the car’s bodywork and a radio pulse generator in the housing of the key itself. Depending on the vehicle’s smart key system, the vehicle is automatically unlocked when a button or sensor on the door handle or trunk release is pressed. Vehicles with a smart-key system may disengage the immobilizer and activate the ignition without inserting a key in the ignition, as long as the driver has the key inside the car. On most vehicles, pressing a starter button or twisting an ignition switch will accomplish this. The method of locking a vehicle with a keyless authorization system varies across models. Generally, when leaving a vehicle, a driver may lock it by either pressing a button on a door handle, touching a capacitive area on a door handle or simply walking away from the vehicle. Some vehicles automatically adjust settings such as seat positions, steering wheel position, exterior mirror settings, climate control settings, and stereo presets based on the smart key used to unlock the car. Vehicles with a smart-key system have a mechanical backup, usually in the form of a spare key blade supplied with the vehicle. The ADAC study shows that car thieves using relay devices purchased easily and cheaply on the internet may easily steal a vehicle. This equipment allows them to boost the signal and make the cars’ sensors react as if the keyless fob is proximate to the vehicle, thus allowing them to open and start a vehicle. Three models manufactured by Jaguar Land Rover, the Land Rover Discovery, Range Rover, and Jaguar i-Pace, were completely invulnerable to attempts to unlock or start their engines. Why? Jaguar Land Rover is utilizing technology that has the capacity to more accurately determine the key fob’s distance from the vehicle. Thus, the technology exists to solve this costly problem. While industry experts insist that cars are more secure than ever and auto theft is at an all-time low, the study reveals that automakers need to do more to protect the security of keyless vehicles. For now, Ford has advised its owners to keep the fob in a metal case to protect the signal from being hijacked.